The Abu Dhabi Securities Exchange (ADX) ended Monday’s trading session in green territory, for the second session in a row, pushed by the growth of the real estate and banks sectors. The general index grew 0.93%, or 48.21 points, ending the session at 5,222.23 points. Turnover amounted to AED 307.805 million after 107.98 million shares exchanged hands through 2,606 transactions. 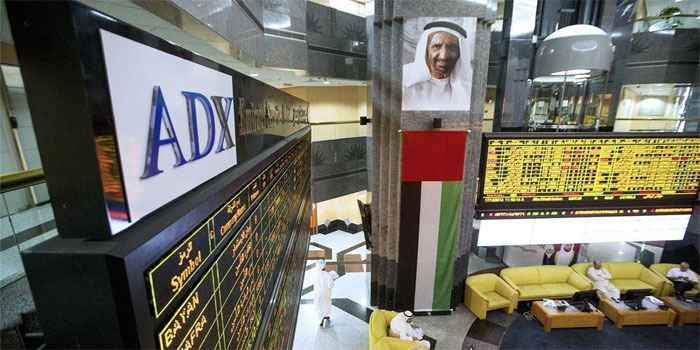 By the end of the session, the ADX’s market capitalisation increased by AED 2.32 billion, recording AED 528.072 billion. The real estate sector topped gainers with 2.8% as Aldar Properties grew 2.89%, while the energy sector levelled up 1.61% on the back of Dana Gas’ 1.94% jump. Similarly, the banks sector went up 1.43% as the heavyweight First Abu Dhabi Bank (FAB) advanced 2.44%. Meanwhile, the telecommunication sector and its sole stock, Etisalat, went down 0.96% each.